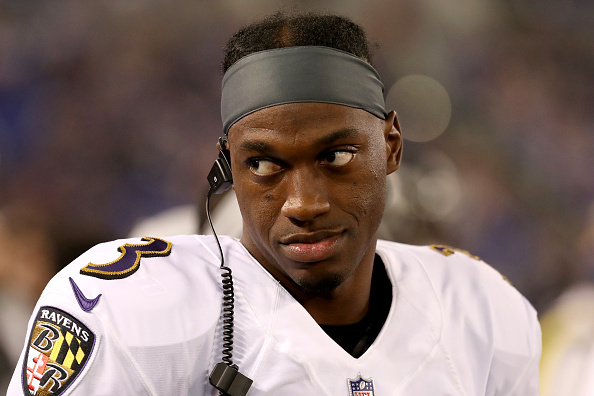 It was a wonderful moment when the Baltimore Ravens reached out and gave Robert Griffin III another chance to play in the NFL, after injuries derailed his career. He eventually got rid of his braids, but probably wasn’t used to getting regular haircuts, so he’s sort of been letting his hair go un-kept. Like Kevin Durant level. This week, the Ravens back-up QB and his wife sent out a holiday picture and RG3 got immediately roasted for not getting a fade or anything done to his head.